Family planning programs have had a profound impact in a relatively short period of time. In the developing world, the contraceptive prevalence rate (modern methods) rose from negligible levels in the 1960s to 55% in 2000. Although many groups were underserved, steady progress was manifest. But the gains stopped, and the contraceptive prevalence rate leveled off. Support for family planning and reproductive health remained high, but the sense of urgency had waned. For far too many decision makers, funding and implementing these programs were no longer priorities. Today, this work remains far from finished. There are more than 220 million women in developing countries who don’t want to get pregnant but lack access to the family planning information, services, and supplies they need. Nothing short of our full dedication is required to surmount the logistical, financial, geographical, and other barriers they face. 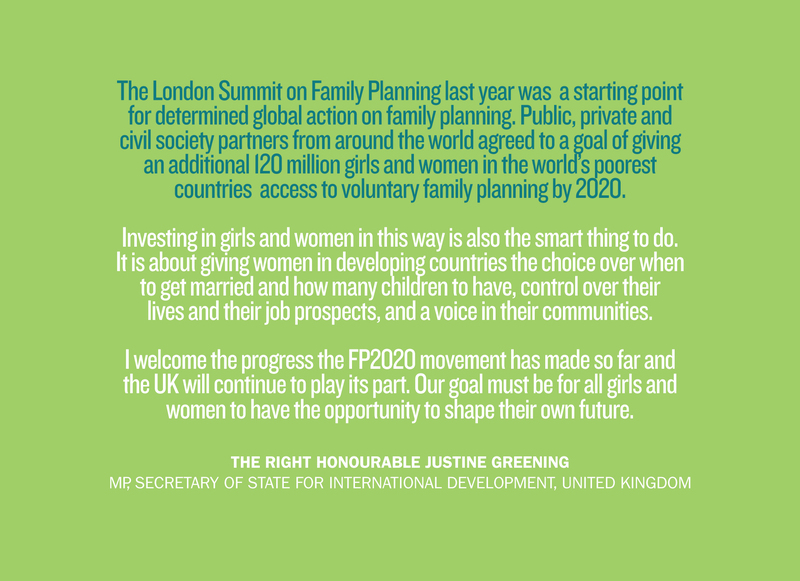 It is to these women that FP2020 is ultimately accountable.